Denver Pet Partners offers AAI services through a variety of programs in education/child welfare, healthcare, and literacy mentorship. Denver Pet Partners provides service and support to children and adults with developmental disabilities and other special needs to facilitate their inclusion into the social and economic mainstream of community life. This is accomplished by registered volunteer handler-animal therapy teams working collectively with teachers and therapists to provide goal-directed intervention in which an animal is incorporated as an integral part of the individual educational plan or counseling session. Among those served are schools for children with special needs, adult day care programs, after school programs, residential treatment centers, child advocacy centers, a juvenile correctional facility, and government mental health facilities. 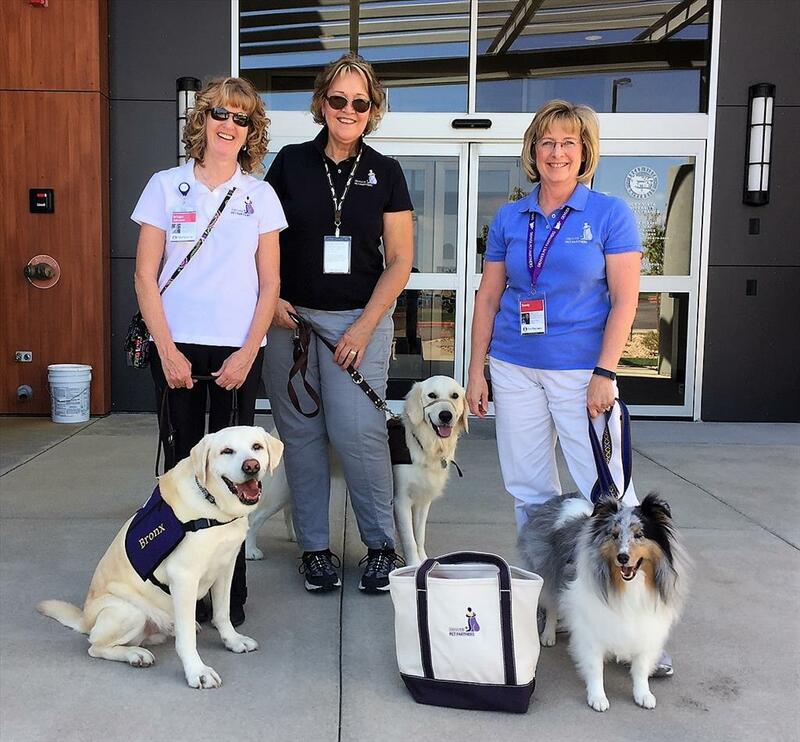 Denver Pet Partners provides education to the public on the benefits of the human-animal bond and the field of animal-assisted interventions (AAI) on an on-going basis through presentations at healthcare facilities, schools and universities, conferences, health fairs, and community events. Denver Pet Partners responds to over 500 inquiries annually from the public about our programs. Denver Pet Partners conducts a standards-based education program for AAI volunteers through the Pet Partners program. These handler training courses are taught by an experienced, licensed Pet Partner Instructor with the objective of educating the human end of the leash on topics such as risk management, infection control procedures, how to effectively engage with different client populations, how to best advocate for a therapy animal by recognizing their stress signals, and more. As part of this program, over 120 evaluations are conducted annually to assess the skill and aptitude of handler-animal teams to ensure safe and effective service delivery. Team Evaluations are objective assessments of a handler-animal team utilizing 22-exercises based on skill and aptitude conducted by trained, licensed Pet Partner Evaluators with the objective of determining the team’s ability to conduct safe and effective animal-assisted interventions. Pet Partner teams must re-evaluate every two years. Denver Pet Partners also provides specialized training for therapy animal teams to prepare them to participate in literacy mentorship programs. Denver Pet Partners volunteer handler-animal therapy teams provide positive physiological effect, psychological well-being, decreased feeling of loneliness and isolation, increased social and verbal interactions, reduced stress, enhanced pro-social orientation, a source of support and increased perception in the ability to cope, to patients in acute and residential care facilities, group homes and hospice. Hundreds of people benefit weekly through regular service from over 150 volunteer human-animal teams in hospitals, residential care centers, group homes, hospices, cancer treatment centers, and homeless shelters, for a total of approximately 40,000 lives impacted annually. Through the literacy mentorship program, Denver Pet Partners improves the literacy skills of children through the assistance of registered volunteer handler-animal therapy teams that have earned additional certification in education assistance, to serve as literacy mentors. The children read to the dogs, therefore offering the children a highly effective, interactive and motivational way of improving reading skills, confidence and self-esteem. Public schools, after school programs, and public libraries are served regularly, in addition to community events.